– The Arizona Diamondbacks have purchased the contract of pitcher Bradin Hagens (2009) from Triple-A Reno. Hagens will begin his time in The Show in the D-Backs bullpen. Hagens becomes the 49th Osprey to reach the Major League. A sixth round selection by Arizona in the 2009 Draft out of Merced College (CA), Hagens began his professional career in an Osprey uniform. In fifteen games, he earned four saves and had a 3.42 ERA with a 1-1 record. The right-handed pitcher spent time in both Double-A Mobile and Triple-A Reno this season. This follows the start of Andrew Chafin yesterday and the promotion of Jake Lamb last week. It’s been a good week for O’s making The Show. Who will be next?? Comment below and share who you think will be the 50th Osprey to reach the MLB. I’ll share your thoughts on today’s doubleheader broadcast. The Osprey play a doubleheader tonight against the Ogden Raptors at Ogren Park Allegiance Field starting at 5:00 p.m. Tickets for all Osprey games are available at the MSO Hub Box Office, by phone at (406) 543-3300 and online at MissoulaOsprey.com. J-Will earned sole possession of the Missoula hit streak record two nights ago with a line drive single. After an RBI chopper last night, he has hit in 26 consecutive games and chases Chris Valaika of Billings in 2006 with 32 for the PBL record. The Arizona Diamondbacks (@Dbacks) acquired outfielder Mitch Haniger (@M_Hanny19) and left-handed pitcher Anthony Banda (@anthony_banda3) from the Milwaukee Brewers for outfielder Gerardo Parra. Parra (‘o6) hit .259 (105-for-406) with 18 doubles, 3 triples, 6 homers and 30 RBI in 104 games for the D-backs in 2014. In 6 seasons with Arizona, he batted .274 (728-for-2,656) with 142 doubles, 31 triples, 39 home runs and 250 RBI. He was a two-time NL Rawlings Gold Glove Award recipient in 2011 (as a left fielder) and 2013 (as a right fielder), as well as the 2013 NL Defensive Player of the Year. And best of luck Jake!! Three in a row for the O’s, and Missoula welcomes Helena for a two-game series starting tonight at 7:05 with a fantastic Missoula Osprey scarf given to the first 750 fans through the gates. Just a quick post with highlights from yesterday’s 8-5 win that was bookend by rain delays. Hopefully the rain will stay far away from the park today or I’m heading to the store to prepare my ark. First pitch is scheduled once again for 7:05 p.m. today. The lineups are set. The weather is not. Remember that the best way to visit the booth is through ospreybroadcast@gmail.com. I’d love to know where everyone is listening in from and take a few questions about the team on air. Back by popular demand, it’s chatzy! Thanks to John Griffin for leading the charge! Welcome to the Missoula Osprey Box Suite, online chat. This virtual room is operated in support of the players, their family, friends and Osprey FANS throughout the country. 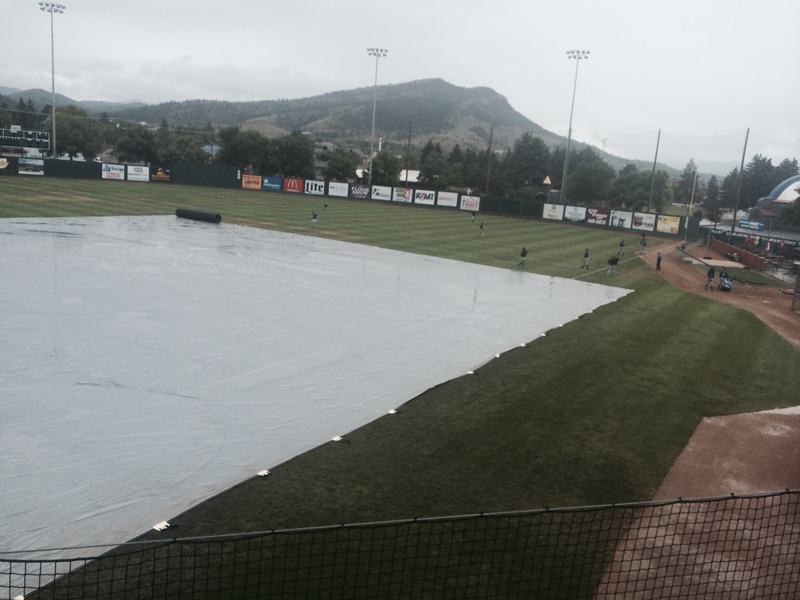 Listen to the live broadcasts on radio at ESPN Montana 102.9 or online by clicking the link on the Osprey website http://www.milb.com/index.jsp?sid=t518. Then join us for a chat during the game. Think of this site as your virtual box seat for the season. You will meet players family members and other fans and discuss the game and root on your Osprey players here, just as if you were able to do so if you lived in Missoula. We hope you will find this as a fun way to support your players and be part of the team family. I’ll do my best to monitor it as the season goes on but I will have a closer eye on the email account. Happy Opening Day my friends!